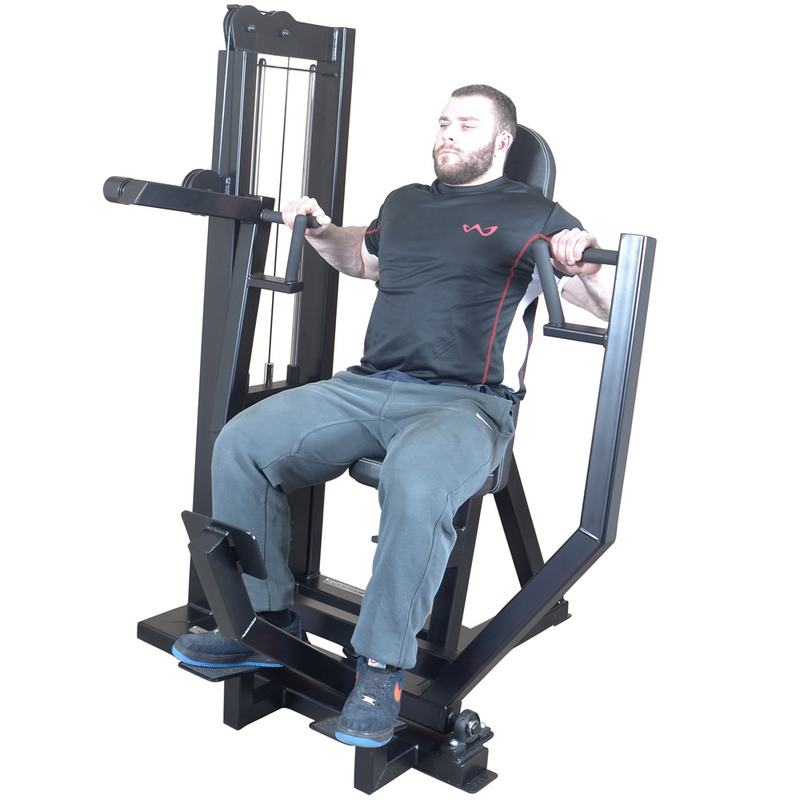 Dual gripping sites emphasise chest or tricep work. 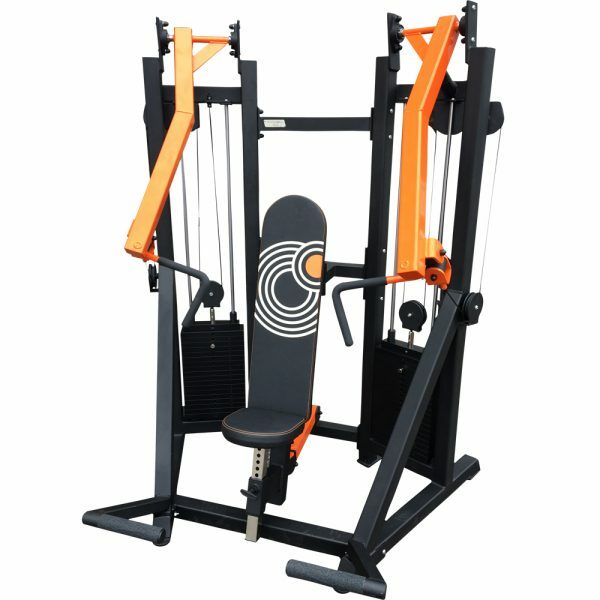 Available in your choice of frame and upholstery colours. 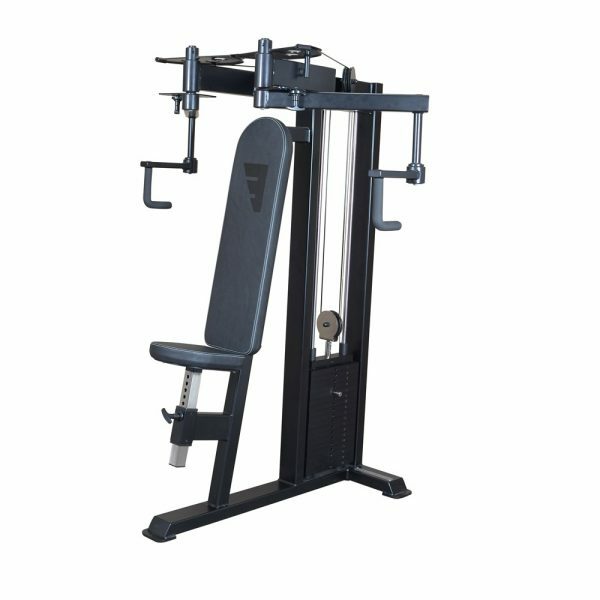 We also offer a combined chest / shoulder press machine. 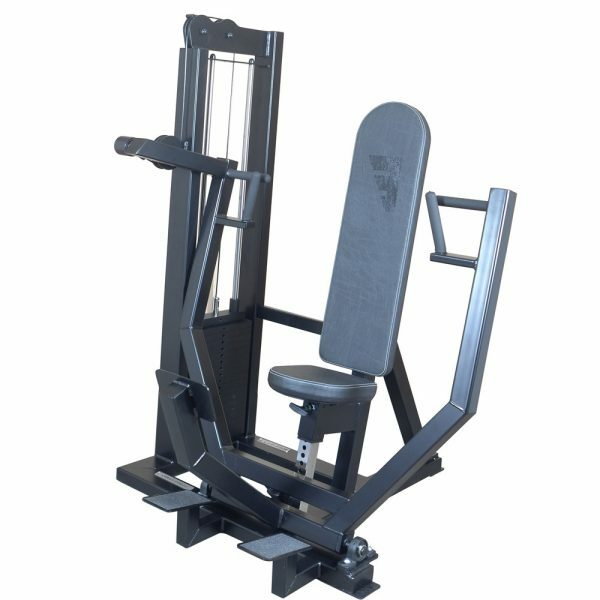 Need a safe but effective way to build your chest and triceps? 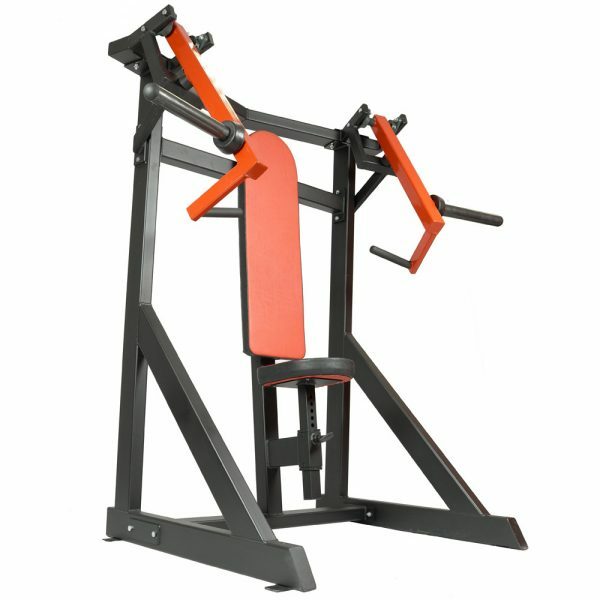 The Watson Single Stack Chest Press makes your bench pressing very safe but at no cost to training stimulus. Giving the effect of a flat bench press, our single stack chest press comes with a 120 kg weight stack as standard that can be upgraded with up to 250 kg of weight! Raised foot plates allow you to lock yourself solidly into position and ‘easy start’ foot bar help you get into position. 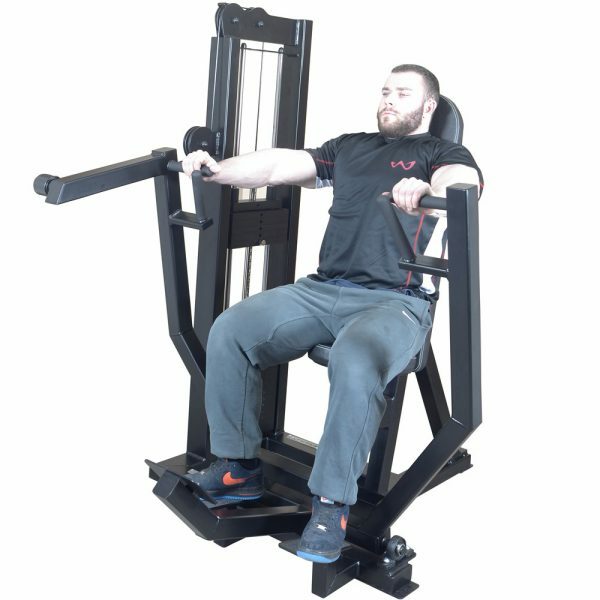 Ultra heavy duty and extremely smooth to use, the Watson Single Stack Chest Press is a great way to train the chest and by using the parallel hand grips can also offer a brilliant way to target the triceps.